Tara Flanagan is on a mission that's out of this world. The MissionTara Flanagan is on a mission that's out of this world. Thank you for visiting my Rocket Fuel profile. First of all, I would like to thank all of you who came to my 'Run Run Run' Single Launch party held at Mr Kyps on 28th June. I was so overwhelmed to see so many of you there to support me! I would also like to thank you for buying my debut single Run Run Run which is available to download on iTunes now. I am so grateful to all of you who have helped me on my musical journey so far and I hope you can continue to support me. Being unsigned, it is a struggle to get funding on projects I am planning to do and for the moment, I can only do it with my family and your support. I hope you are able to support me and here's how. You can buy music related products from the shop that you'll find further down this page, subscribe to support me on an ongoing basis or lend a helping hand with a one-off donation. With your support, anything you give will help my music take off to the next level. I hope you can join me and be involved in every step of my musical journey. For every step you take with me, I will keep you updated with any progress I make and I will be truly grateful of your generousity. My sincere thanks and appreciation of your continued support. Address Line 1 Address Line 2 Town/City Postcode Country AfghanistanAlbaniaAlgeriaAmerican SamoaAndorraAngolaAnguillaAntarcticaAntigua and/or BarbudaArgentinaArmeniaArubaAustraliaAustriaAzerbaijanBahamasBahrainBangladeshBarbadosBelarusBelgiumBelizeBeninBermudaBhutanBoliviaBosnia and HerzegovinaBotswanaBouvet IslandBrazilBritish lndian Ocean TerritoryBrunei DarussalamBulgariaBurkina FasoBurundiCambodiaCameroonCanadaCape VerdeCayman IslandsCentral African RepublicChadChileChinaChristmas IslandCocos (Keeling) IslandsColombiaComorosCongoCook IslandsCosta RicaCroatiaCubaCyprusCzech RepublicDenmarkDjiboutiDominicaDominican RepublicEast TimorEcuadorEgyptEl SalvadorEquatorial GuineaEritreaEstoniaEthiopiaFalkland Islands (Malvinas)Faroe IslandsFijiFinlandFranceFrance, MetropolitanFrench GuianaFrench PolynesiaFrench Southern TerritoriesGabonGambiaGeorgiaGermanyGhanaGibraltarGreeceGreenlandGrenadaGuadeloupeGuamGuatemalaGuineaGuinea-BissauGuyanaHaitiHeard and Mc Donald IslandsHondurasHong KongHungaryIcelandIndiaIndonesiaIran (Islamic Republic of)IraqIrelandIsraelItalyIvory CoastJamaicaJapanJordanKazakhstanKenyaKiribatiKorea, Democratic People's Republic ofKorea, Republic ofKosovoKuwaitKyrgyzstanLao People's Democratic RepublicLatviaLebanonLesothoLiberiaLibyan Arab JamahiriyaLiechtensteinLithuaniaLuxembourgMacauMacedoniaMadagascarMalawiMalaysiaMaldivesMaliMaltaMarshall IslandsMartiniqueMauritaniaMauritiusMayotteMexicoMicronesia, Federated States ofMoldova, Republic ofMonacoMongoliaMontenegroMontserratMoroccoMozambiqueMyanmarNamibiaNauruNepalNetherlandsNetherlands AntillesNew CaledoniaNew ZealandNicaraguaNigerNigeriaNiueNorfork IslandNorthern Mariana IslandsNorwayOmanPakistanPalauPanamaPapua New GuineaParaguayPeruPhilippinesPitcairnPolandPortugalPuerto RicoQatarReunionRomaniaRussian FederationRwandaSaint Kitts and NevisSaint LuciaSaint Vincent and the GrenadinesSamoaSan MarinoSao Tome and PrincipeSaudi ArabiaSenegalSerbiaSeychellesSierra LeoneSingaporeSlovakiaSloveniaSolomon IslandsSomaliaSouth AfricaSouth Georgia South Sandwich IslandsSpainSri LankaSt. HelenaSt. Pierre and MiquelonSudanSurinameSvalbarn and Jan Mayen IslandsSwazilandSwedenSwitzerlandSyrian Arab RepublicTaiwanTajikistanTanzania, United Republic ofThailandTogoTokelauTongaTrinidad and TobagoTunisiaTurkeyTurkmenistanTurks and Caicos IslandsTuvaluUgandaUkraineUnited Arab EmiratesUnited KingdomUnited States minor outlying islandsUnited States of America (USA)UruguayUzbekistanVanuatuVatican City StateVenezuelaVietnamVirgin Islands (British)Virgin Islands (U.S.)Wallis and Futuna IslandsWestern SaharaYemenYugoslaviaZaireZambiaZimbabwe Home phone Mobile number I consent to Tara Flanagan sending me marketing emails. Thank you for supporting Tara Flanagan! 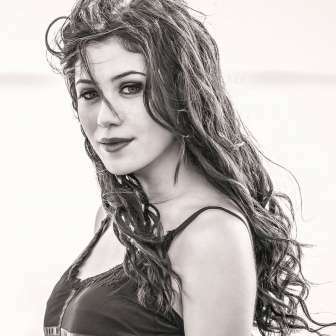 Tara Flanagan is an 18 year old singer/songwriter hailing from Poole, Dorset in the South West of England. She has been singing since the age of 6. This passion developed into her regularly participating in shows, musical events and singing competitions. She began song writing when she was 13, accompanying herself on guitar and piano. Tara started doing ballet, tap and modern at age 4 at The Carrington Hollywood Academy of Dance and at age 13, she joined Stagewise School for the Performing Arts where she attended twice weekly workshops in singing, acting and dancing. She has been involved in different stage productions playing the lead role of Dorothy in The Wizard of Oz; the role of Belle in a school musical Beauty and the Beast; Helena in Shakepeare's Midsummer Night's Dream and in July this year, she played the role of Scaramouche in the musical We Will Rock You. Although Tara enjoys musical theatre and acting, her passion is in singing and song writing and her drive is to become successful as a solo artist. Tara has been a Grand Finalist in various singing competitions such as StarSensations, Talentcall and the worldwide StarNow Music Immersive competition. Back in January of this year, she beat thousands of applicants and reached the Grand Final of the National singing competition, Open Mic UK, performing her new material at the NEC Birmingham and also got awarded the Future Music Management award. Early this year, she also won the Hope FM Rising Star award. This year Tara has recorded her debut EP at River Studios in Southampton. The five track EP includes electro-pop influences all songs written by Tara herself and produced at River Studios by two amazing music producers; Gareth Henderson and Stuart Mannell. Sunday 28th June was the official launch night of her debut single RUN RUN RUN which took place at Mr Kyps in Poole, Dorset, followed by its release on 29th June 2015. Check out her music video, shot by the super talented Glen Jevon.